Following numerous stupid decisions by Rugby Australia over the last couple of years, an officious bystander is virtually forced to believe that the organisation cannot run a bath. 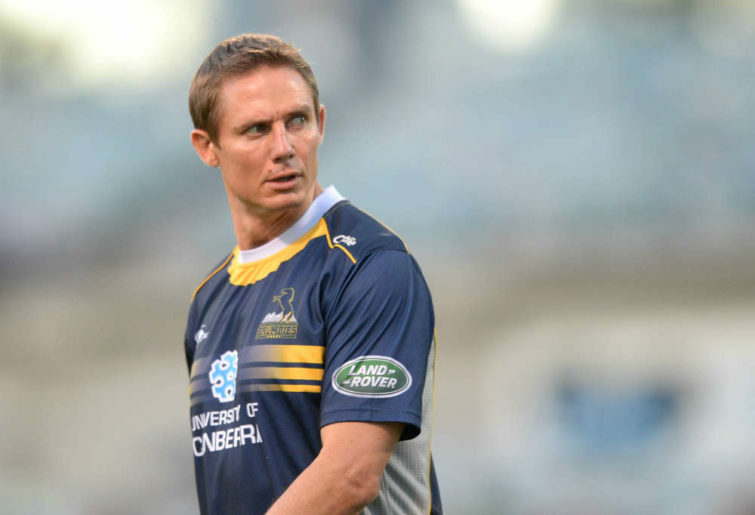 Now we have the matter of Stephen Larkham being dropped from the Wallabies coaching staff. What the rugby public and media is being told about the Larkham matter defies a rational understanding. He has been dropped from the Wallabies responsibilities, right. But, “his expertise” (CEO Raelene Castle’s words) will enable him to link up the Sevens teams, the under-20 state academies and a program intended to integrate Sevens and XVs programs. Wait, though, there is more! Castle has promised that Larkham will be considered for head coach of the Wallabies after Rugby World Cup 2019. Let us throw some facts into this discussion. These statistics do not include the years from October 2014 and the whole of 2015, a Rugby World Cup year when the Wallabies reached the final for the fourth time. When these years are included Cheika’s record stands at 28 wins, 28 losses and two draws. There is a strong argument to be made that these statistics indicate that the Wallabies were successful when Cheika’s team was essentially the side that he inherited from Ewen McKenzie. By the time McKenzie’s relatively successful Wallabies had become Cheika’s Wallabies last year, a year out from the Rugby World Cup tournament in Japan, the side had degenerated to such an extent that 2018 was one of the worst in the history of the national side. This is the point that should have been understood by Rugby Australia. The Wallabies have got worse in every indicator under Cheika’s regime. And the longer he has been in charge, the worse the results in terms of winning and losing have become. So faced with these facts, Rugby Australia has sacked the attack coach of the Wallabies. The defence coach, Nathan Grey, and the forwards coach Simon Raiwalui, have been kept on despite the fact that the Wallabies defensive record has been appalling and the forward play not on a par with its top tier opponents. So the poor performance of the Wallabies last year on attack, scoring on average 19.2 points a Test, according to coach Cheika, was due to Larkham’s input into the game plans of the Wallabies. What about the porous defence? What about the lack of power and authority in the forwards? 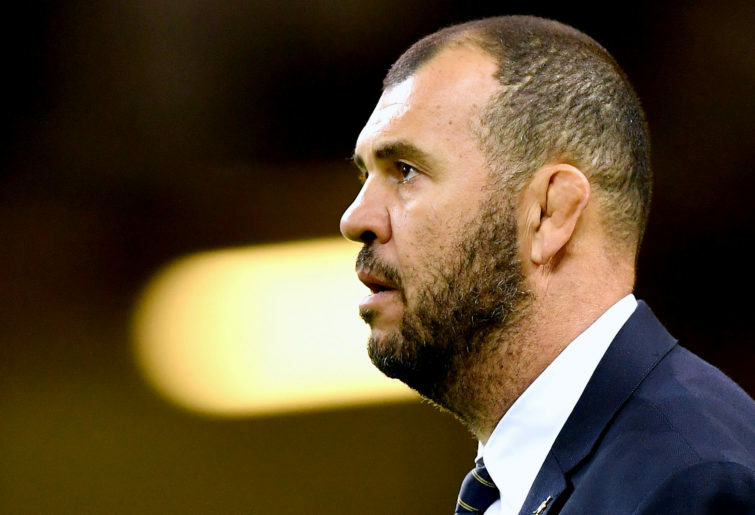 What about Michael Cheika himself as head coach? Apparently, the buck stopped with Stephen Larkham. In the real world of international rugby coaching, or any other major sports, if a team is failing the way the Wallabies have been, the governing body sacks the head coach. The head coach has the responsibility and big salary that goes with this responsibility to produce the goods from his team. If the team, he fails. If Larkham had to go, then Cheika should have led the way for both of them out of the door. Rugby Australia has always been scared of Cheika ever since they grovelled to his demands when a replacement was sort when Ewen McKenzie resigned from the Wallabies a year out from Rugby World Cup 2015. I use the word “scared” in the sense that Cheika was seen at the time as the only possible saviour of the Wallabies and that because of this Rugby Australia believed his every demand for more and more control had to be satisfied. His unacceptable behaviour towards referees and in the coaches box was accepted. Cheika-mate against Rugby Australia by the coach of the Wallabies. We needn’t feel sorry for Larkham, though. His sacking from the Wallabies has, bizarrely, given him the front running to succeed Cheika after the Rugby World Cup tournament in Japan. The best articulation of this theory comes from Neil Breen, an experienced print and television reporter, who now writes for The Sun-Herald thanks to Channel Nine’s takeover of Fairfax Media. I think that Breen is right on this conclusion. Rugby Australia is clearly setting up Larkham to be the next head coach of the Wallabies. But is Rugby Australia right to take this approach? I would argue that it is not. Larkham has taken the Brumbies, historically the best of Australia’s Super Rugby sides, to the Super Rugby finals. Unlike Cheika, though, Larkham has no trophies to show for his coaching stints. He was, admittedly, one of greatest players in the history of rugby. But great players, in most sports, rarely make great coaches. The fact is that there is nothing in Larkham’s career that suggests he can be a successful coach of the Wallabies. There was nothing in his coaching record that suggested he could even be a successful assistant. In his time with the Brumbies, as an assistant coach and then a head coach, the Brumbies were noted for their lack of flair and adventure in their back play. This failure by Larkham to coach effective, fluent, attractive and high-scoring attacking play was carried through to the Wallabies, according to Michael Cheika. My main takeout from all of this is that Rugby Australia and the Super Rugby franchises have promoted too many favourite sons to positions of coaching authority. Favouritism has trumped accomplishments. Good coaches have been denied higher positions. Favourites, without any real records of success, have been promoted to jobs they should not have been appointed to. The end result of this selection by favouritism method is that there is no one coaching within the Wallabies or the Super Rugby franchises who has the record of achievement a Wallabies coach should have. This is why, it seems, that when Michael Cheika goes Stephen Larkham somehow becomes his inevitable successor. And it seems to me that this system of selection by favouritism is still at work. Can anyone inside the NSW Waratahs organisation explain to the rugby public how Chris Whitaker, the newly-appointed defence coach of the Waratahs and clearly in line to take over as head coach when Daryl Gibson goes, got the job? There are very many Australian coaches, here in Australia and overseas, who have better credentials than Whitaker. Were any of these coaches considered for what is one of the more important coaching jobs in Australian rugby? If not, why not.